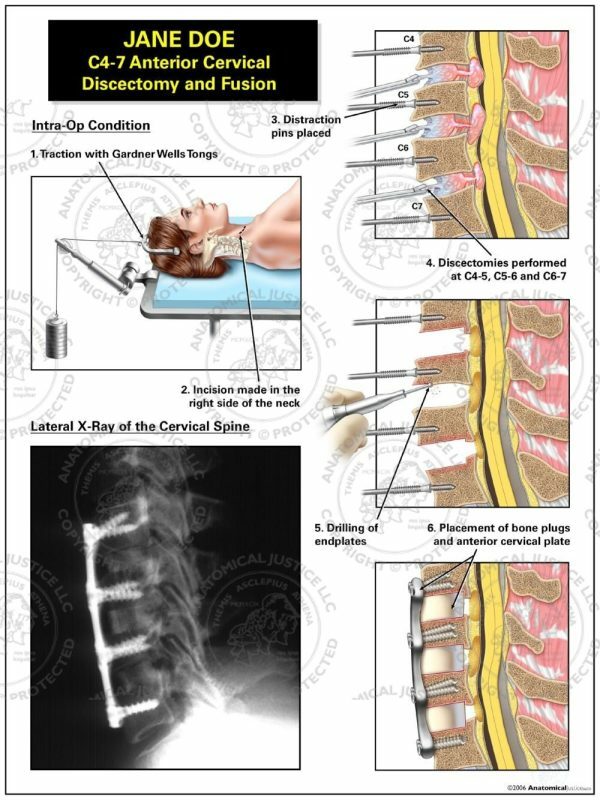 This exhibit depicts a C4-7 anterior cervical discectomy and fusion utilizing Gardner Wells tongs for traction. Gardner Wells tongs are pinned to the skull, immobilizing the head to prevent any further spinal trauma. The procedure then begins with an anterior incision over the right neck. Distraction pins are placed, and C4-7 discectomies are performed. 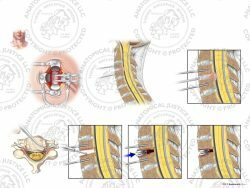 Vertebral endplates are drilled down to bleeding bone, and bone plugs are impacted into the disc spaces. 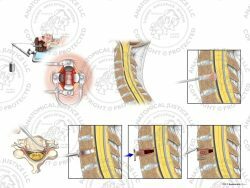 Lastly, an anterior three level plate is secured to the C4-7 vertebral bodies with screws.